Sibling/ double booking discounts available. 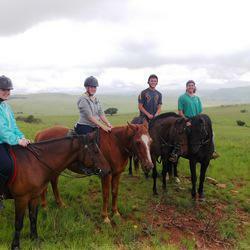 An action packed camp that uniquely combines adventure activities with horse riding. 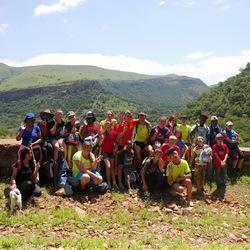 We have taken the idea of a pony camp and combined it with the old Veldschool idea to create a fun filled camp that gets the kids out of the city and into the countryside. The children are divided into teams and required to perform various activities that will help teach them about team work and leadership qualities. Team building activities such as pharaoh’s tomb, Lava River, obstacle course, map reading and orienteering and night activities. 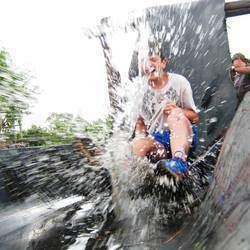 And of course the fun filled activities such as swimming, bum slides, phoefie slid, Paintball war games, adventure games, forests hikes and river rambles. We give the each kid a riding lesson each morning, during which they learn the basics of English riding and also how to do the discipline that we are doing that week. Riding disciplines include basic dressage, a little jumping, TREC and mounted Pony games. We do a different one each week. They then have a show at the end of the camp to compete for prizes and show what they have learnt. The children are supervised at all times by our experienced facilitators, with first aid knowledge. The kids are accommodated in dormitories, with the girls and boys sleeping in separate rooms. The facilitators are present 24 hours a day. We are situated in beautiful valley surrounded by mountains, just outside of Waterval Boven, Mpumalanga.